The Richardson area features beautiful homes and yards. When you live in this city, you can make your property even more attractive with outdoor lighting. When you choose Creative Nightscapes for your outdoor lighting needs, you won’t get plain, functional outdoor lights that provide security and little else. Instead, you’ll get decorative lighting that adds visual appeal to your home and yard, along with security. Our outdoor lighting includes patio lights, pool lighting, garden lights, exterior lights, LED lighting, and more. 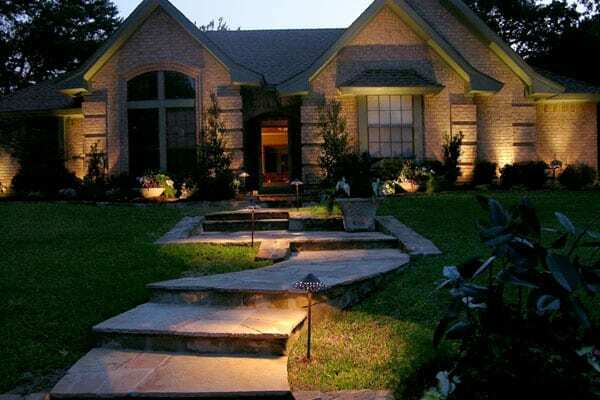 Our lighting experts are ready to assist you in choosing the best outdoor lighting in Richardson, Texas. Having outdoor lighting for your home and yard means that you and your family can walk around safely when it’s dark out without worrying about tripping or falling. Outdoor lights also help deter intruders and provide plenty of illumination for enjoying your outdoor areas at night. With outdoor lighting from Creative Nightscapes, your home will have an eye-catching appearance that boosts its curb appeal. Call us today for more details on our services and to get a free quote. When your property has water features, gardens, decorative trees, and shrubs or other landscape elements, lighting allows you to enjoy them day or night. Landscape lights can be expertly placed to draw the eye to certain features while also offering enough illumination to see by when it gets dark out. 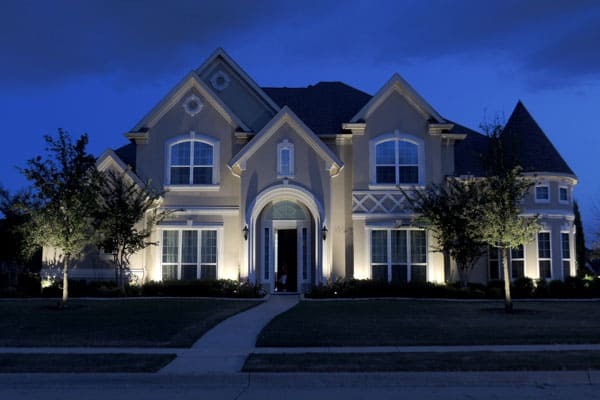 Creative Nightscapes provides dependable landscape lighting installation and design in Richardson. Our lighting experts can guide you in selecting the perfect lights to highlight specific parts of your property or landscaping. With our help, we’ll make sure that you have landscape lighting that complements your home and enhances its appearance. Designing the ideal landscape lighting is the first part of the process. After this step, our team of lighting professionals will begin the installation process. Whether you’re having a few lights installed to bring attention to specific features or several types of lights to provide more illumination, our team will make sure that all of your lighting is expertly installed. 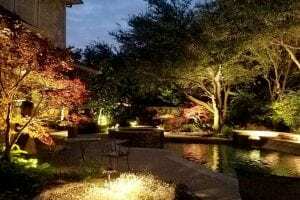 Please call us today for a free quote on our landscape lighting installation and design in Richardson. The cost of living index in Richardson is 97, which is higher than the cost of living index of 90 in Texas and slightly lower than the cost of living index of 100 in the U.S. Those who live in Richardson have a median household income of $70,000, which is much higher than the national average of $53,000 and the state average of $52,000. The average home price in the city is $190,400, which is higher than the state average of $131,000 and the national average of $175,000. Roughly 106,000 people make their home in Richardson. A combination of excellent schools, low crime rates, good weather, and convenient amenities have been encouraging more and more people to move to this city. Richardson residents who are interested in helping their local community can take advantage of the many volunteer opportunities that are available. These include participating in local events, such as Trash Bash, Wildflower Festival, Cottonwood Art Festival and Santa’s Village, or volunteering with local organizations, such as the animal shelter, library, police department, or the Eisemann Center. Those who call Richardson home have easy access to downtown Dallas and the surrounding area. Residents can take US-75 S for about 15 minutes to get to Dallas to enjoy the city’s attractions and amenities. Richardson residents can also take TX-183 W or I-30 W to reach downtown Fort Worth. This drive takes about 40 minutes, depending on traffic and weather conditions. 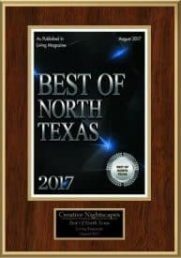 Richardson offers a number of places to visit and things to do, especially for those who enjoy spending time outside. Residents can stroll or jog along the trails at Prairie Creek Park or play sports and let the kids run around on the playground at Crowley Park. Cottonwood Park features sand volleyball, a playground and more. Canyon Creek Country Club offers golf, tennis, and swimming for those who become members. The country club also hosts several events throughout the year that members and their families can attend. Those who become members can also enjoy delicious meals prepared at Press 63. Richardson residents who love playing tennis can visit Huffhines Tennis Center. The center offers plenty of tennis courts, as well as walking trails, sports fields, a playground, and more. Residents who want to take in a movie while having food and drinks served seat-side can head to Alamo Drafthouse Cinema, which offers craft beers and tasty food. The cinema plays the latest selection of movies. Those who live in Richardson also have access to plenty of shopping and dining options, including Pappadeaux Seafood Kitchen. Creative Nightscapes was fully prepared before even coming to my home for a quote. They had pulled up my home on Google and knew what I might need. They were professional and friendly. I would highly recommend. Installed kichler lighting on home in Richardson. Up lighting facade, down lighting on walkway. Pool and yard area lighting. Installed Kichler LED outdoor landscape lighting at home in Richardson Heights Estates. Placed up lights to accent facade of home and canopies of Oak trees. Mounted down lights in trees to highlight walkway to front entry. Installed Kichler VLO integrated fixtures to accent the monument sign and canopies of Crepe Myrtles. Installed Kichler LED outdoor landscape lighting at home in Canyon Creek Country Club. Placed up lights to accent the facade of home, canopies of trees in front and back yards. Mounted down lights to highlight walkway to front entry, back yard around pool and patio, and driveway area. Mounted hardscape lights to illuminate seating area under pergola, walkway from patio to driveway, and back entry.